In the late summer and early autumn period of 1918 the German Government was in an impossible position. Civil unrest was increasing at an alarming rate fuelled and powered by members of the communist party and aided by the large number of deserters from the army. Due to the tight blockade of German ports by the British Grand Fleet, the population was starving. In 1917 the new communist government of Russia signed a peace agreement and ended the conflict on the eastern borders. The number of troops that were transferred from the eastern to the western front amounted to a million and these battle hardened soldiers were much needed due to the high and increasing scale of the slaughter. However, the reality was that Germany was running out of young men available to be trained to fight. During 1918 troop ships were arriving at French ports transporting large numbers of fresh soldiers from the USA. The German government felt that their country had no choice but to force an end to the war. The final desperate campaign happened in the spring offensive when the German army launched their last major attack. After large initial gains the assault failed and eventually the government was forced to agree to the initial terms of surrender. To many in Germany the signing of the armistice on the 11th of November 1918 meant that life would improve, order restored and that the carnage would finally be at an end. However, some, including a soldier called Adolf Hitler saw the surrender as an act of betrayal. In the years that followed, the people of Germany continued to suffer through a collapsed economy, persistent high levels of unemployment and extreme inflation. Early in the 1930’s the appeal of the fascists gathered momentum and in 1933 Adolf Hitler, leader of the Nazi Party, was elected as Chancellor of Germany. In my first book, Two Sons, I tell the story of the Williams family from Britain, who while on a visit to Belgium in 1932 meet a German family, Eric and Martina Lehmann and their son Peter. Both families are in Belgium to pay their respects to their two dead sons who had been killed at Paaschendaele in 1917 and buried in Flanders. While staying at a Madame De Vos’s hotel in Poperinge, both families eventually realize that they have more in common than they first thought. In July of 1932, Hitler and the Nazi Party were threatening to take control of Germany and there was a growing fear in Belgium and France of the possibility of another war. Having lost their sons in one conflict, both families fear that they may have to make further sacrifices. 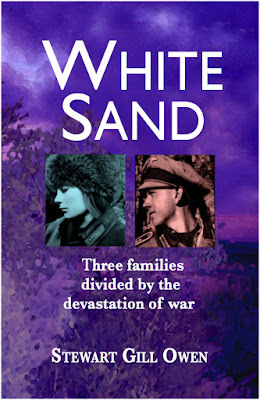 ‘White Sand.’ takes the story of the families on from the outbreak of the Second World War to the next decade. As we travel along the journey of our lives we will experience joy, pride, despair, love, grief and the fear of loss. 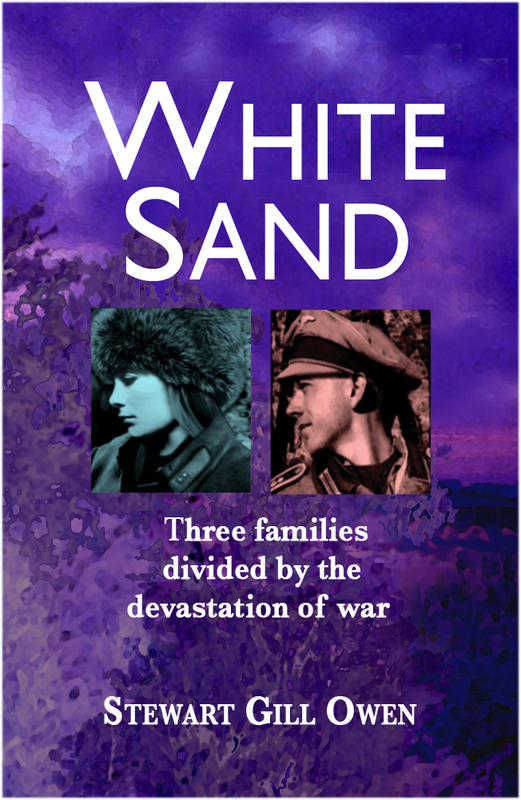 ‘White Sand,’ continues with the theme and like ‘Two Sons’ it is about the emotions, the passion and the feelings that many of us share, regardless of nationality, class, faith and status. The story begins in 1932. Hitler and the Nazi Party were threatening to take control of Germany and there was a growing fear of another war. In the summer of that year, John and Annie Williams make their annual trip to visit their son’s grave in the Flanders region of Belgium. Their son, Herbert Edward Williams had been killed while fighting at the battle of Passchendaele in 1917. Erich and Martina Lehmann from Germany are also in Flanders, to pay their respects to the memory of their son Kurt who died in the same campaign. During the visit, confrontational events take place. The story moves from the battlefields of the Western Front to the domestic life of the families over a period of two decades. Having lost their sons in one conflict, both families fear that they may have to make further sacrifices. My father was born in 1918 and was named after his eldest brother who had been killed in Flanders while serving with the Royal Garrison Artillery. He always talked of a grave in Belgium with a headstone with his name on it. The name was Herbert Edward Owen. In 1993 his health began to decline and I decided that while he could he should visit the grave. In that year we went to Dozinghem War Cemetery to pay our respects. During the trip I was amazed at the number of British and Commonwealth cemeteries that covered large areas of Flanders. Then I asked the question ‘where were the German dead buried? The book explains why the German cemeteries are almost invisible.. My view is that this is a story that has never been told in any depth before. It’s about the victorious and defeated and how the dead of each nation are remembered or forgotten. 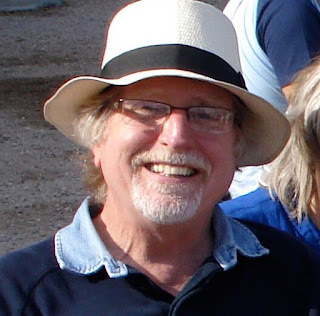 I was inspired to tell a story about joy, pride, despair, love, grief and the fear of loss. Two Sons is about those emotions, the passion and the feelings that many of us share, regardless of nationality, class, faith and status. The design almost took care of itself. The very recognisable landscape of the battle fields of Passchendaele was used as a background. I’m an artist and an illustrator so the process of creating the images was reasonably easy for me to achieve. For one design I used poppies for obvious reasons. Included are two images of two young men wearing the distinctly different helmets representing the countries that they fought for. It began as a one-off story but as I researched my family history, new stories emerged. The story continues into and beyond the Second World War. This book ‘White Sand, is about to be published. I’m now planning and writing a third book which is called ‘Red Earth.’ This story will focus on the late Victorian period and the Edwardian era leading up to and through the First World War. Three locations. Blackburn in Lancashire, Poperinge in Belgium and Mainz in Germany. My family are from Blackburn so the choice of an English location was easy. Poperinge because it’s where my grandparents stayed when visiting their son’s grave. Mainz is a city I know reasonably well. When I worked in higher education I visited Mainz a number of times to arrange and monitor a student exchange progamme. I’m a keen historian and it is the most immediate and ‘living’ history that has inspired my book. Many of us still have links with the First World War. I lost an uncle in Flanders and one of my ancestors was the poet Wilfred Owen. Something that happened so long ago, is in many ways, still with us. My grandparents travelled to Belgium every year to visit their sons grave until the second war prevented them from making the trip. The uncle that I lost had always been with us even though I never knew him. I would describe myself as being a storyteller and it is the enjoyment that I get from telling a story that is my driving force and my passion. Our family name is Owen and I wished to keep the Welsh connection. Owen became Williams. The given names remain as family members. For the rest of the characters I trawled through the Internet and looked at German/Belgium names that were typical of that country of origin. I found the book titles for my three easy to come up with. Two Sons was an straightforward choice because it simply explains the book content. My next two book titles reflect something from the content of the story. To me this is the undemanding part of the process. The work of Charles Dickens. My office, which is an old stone outbuilding in the garden. Ride With the Devil based on the book Woe To Live On by Daniel Woodrell. The villagers fought to keep the local pub open and were successful. I like real ale. To travel across the USA. Most things Norse. The stories of Volsung, Wayland and Thor.